The third edition of Vibrations of Shells and Plates continues the philosophy of approach and subject matter treatment of its predecessors. With 30 percent new material, the author clearly illustrates the behavior and design of vibrating shells and structures and provides analytical approaches and discussions not found in any other text on the topic. While the primary focus is analytical, the book also lays the foundation for numerical techniques, such as finite elements and finite differences. 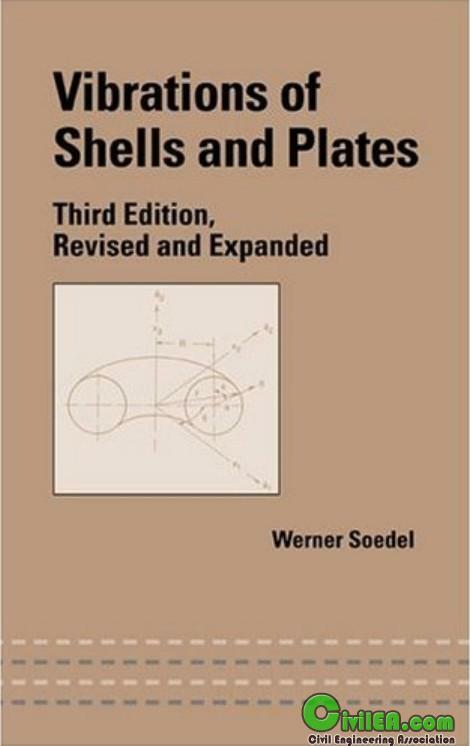 The author clearly explains complicating effects on the vibration behavior of shells and plates and details solution techniques such as the receptance method, similitude, and the power series method. To engineers who, rather than blindly following the codes of practice, seek to apply the laws of nature.